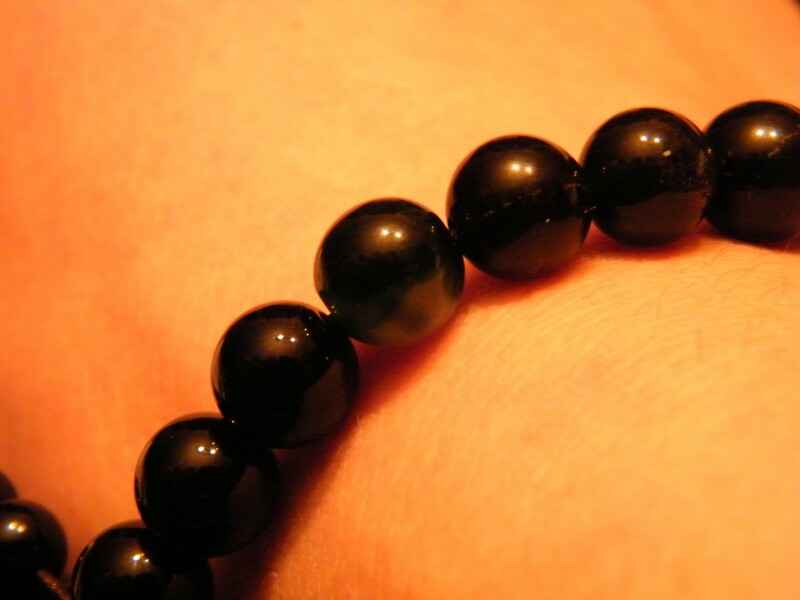 Black is too black? 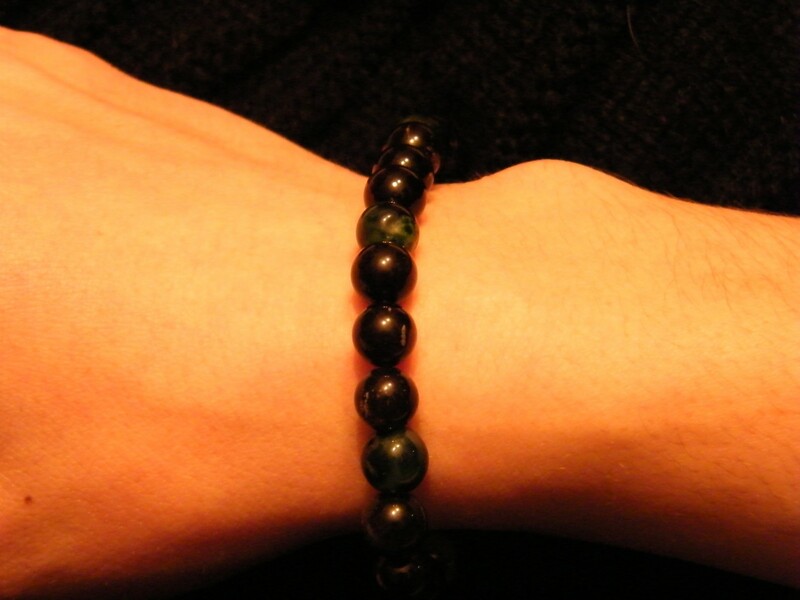 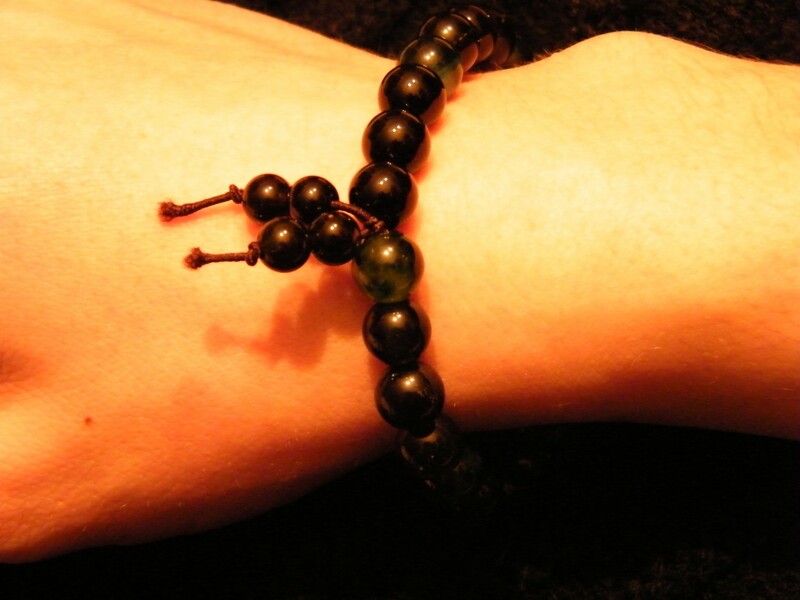 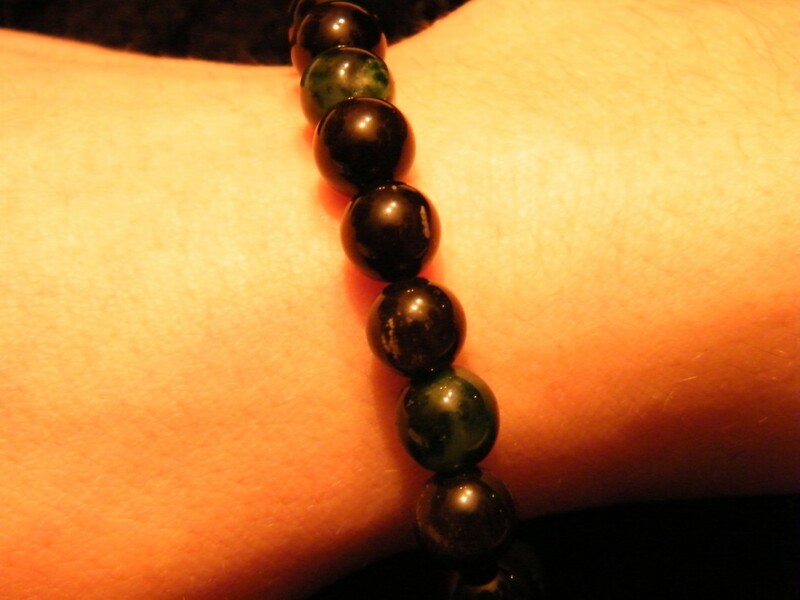 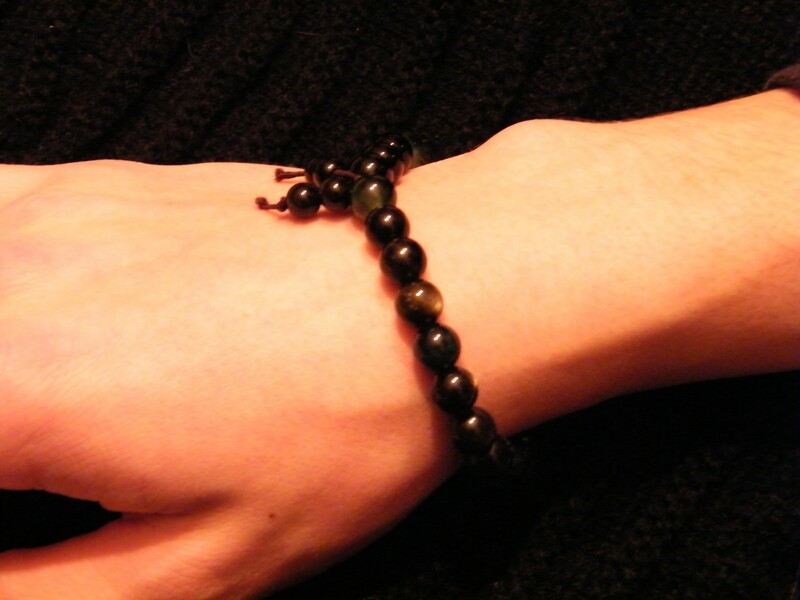 Then take a look at this unisex bracelet sporting hand picked dark green mottled jade to complement the glassy volcano forged obsidian beads. 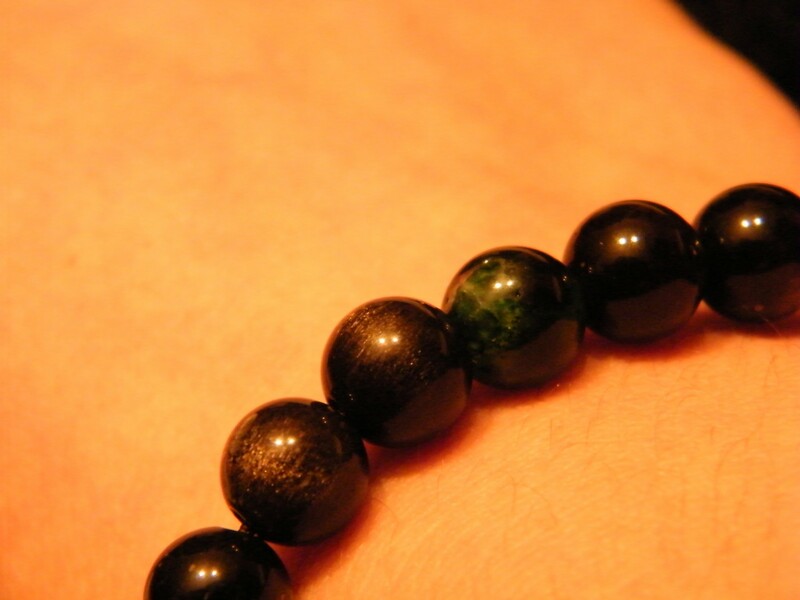 Dark green is the new almost black. 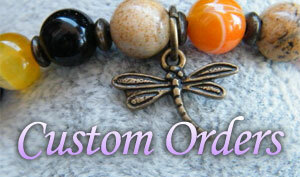 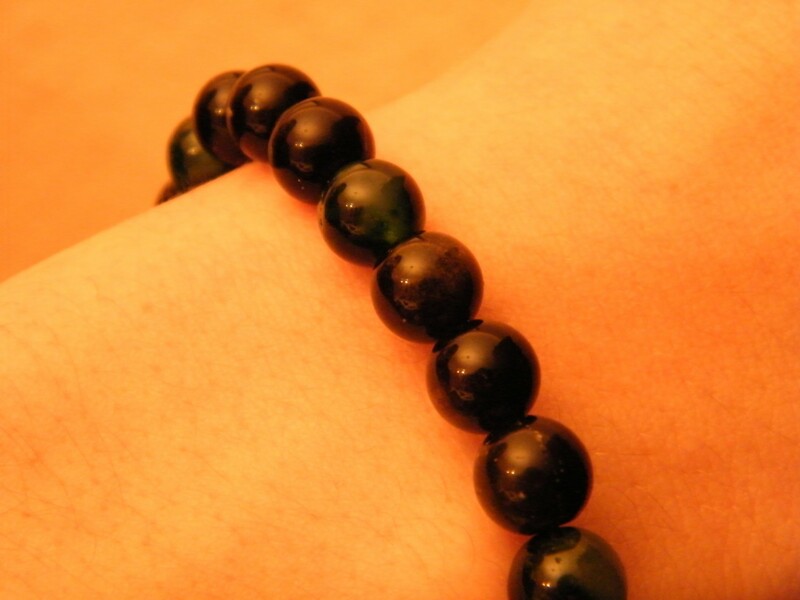 Materials: 8mm obsidian beads, 8mm mottled jade beads, 6mm obsidian beads, stretch brown cord, no glue.